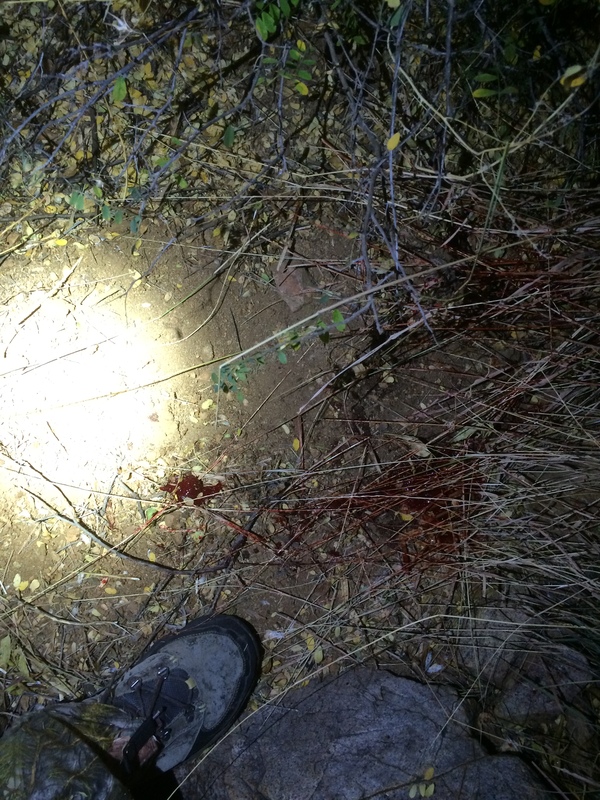 My friends and family that don’t live and hunt here in AZ never really understand the difficulty, physicality and skill that is required to be a consistently good Coues deer hunter so when I get the opportunity to take hunters from the east or midwest to experience the trials and tribulations of hunting Coues deer in my home state of Arizona…. I jump on it….. Because unless you experience it…you just don’t know….. The first day I visited all my old haunts and after Hours of glassing we could not turn up a buck…. The next morning I decided to switch gear a bit and hit one of my bow hunting spots that generally holds good bucks later in the season…. The whole morning was spent glassing in the rain and fog with few deer spotted but we were determined to find drew a deer.. I knew we had to move fas t the deer were a long ways off, we had just got a break in the rain and we had about 50 mins left of light. We dropped some gear and made a dash for it.. after running for nearly a mile we found ourselves within 500 yards of the buck I stopped to grab a look at him and what we though was his doe happened to be another small buck that we could not make out in the fog from that far away… So Drew in fact had spotted the first buck not bad for a guy who fly fishes for a living…. The bucks were moving up the ridge and I new they would go over or drop in the saddle soon we closed another 50 yards and got set up. Now I don’t know if it was the excitement of the situation or what we all get caught up in the moment sometimes everything about the situation was telling me don’t shoot come back tomorrow morning you don’t have a lot of time, its misting out, it’s a long shot but I made the call for him to take a shot anyway. Well Drew’s shot was marginal and he had hit the buck in the liver which if you know a liver shot deer can go a long ways even though they bleed a lot. Im already embarrassed by this hunt but I made a packed with myself years ago that I would show the good with the bad….. Well the comedy of errors continued it started to drizzle again and I made the call to go after him while we still had some light… we raced to the top and quickly found blood at the impact site but then no blood there after.. I wanted to find the direction he was running before it got dark so we could make a plan to recover him in the morning.